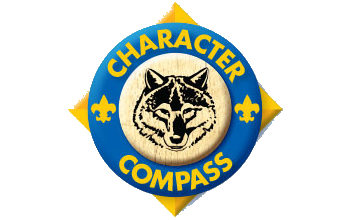 As Cub Scouts work on the adventures in their handbooks, they will notice the Character Compass symbol. A compass is a tool that guides a person from place to place. Character is how we act, and it guides our entire lives. 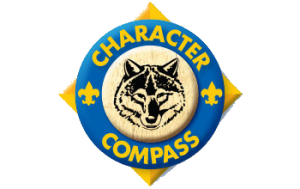 This compass will be a guide to one or more of the 12 points of the Scout Law. Every time Cub Scouts check the compass, it will remind them of how the activities in each adventure are related to the Scout Law. This may also help them think about how the points of the Scout Law guide their way in Cub Scouting and in daily life. Those points are all different, and each one is a treasure for Scouts to find.